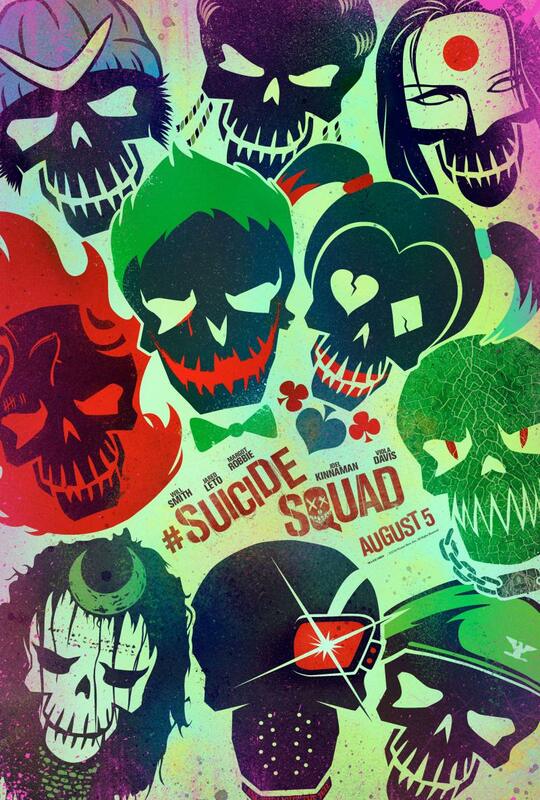 I will start at the end: Suicide Squad represents a mainstream attempt at addressing the question of good vs. evil. It does so through the seemingly good using the services of the seemingly bad in order to turn a bad situation into a good one. During this journey, we discover the good are just as bad and the bad can be just as good. This mainstream attempt takes place in the DC Comics universe, straight after the conclusion of the previous DC Comics movie (Batman vs. Superman): as in, Superman is dead. Yet evil is still about doing its evil things, and with no Supergood to sort the world out, our [American] leaders have to call on the Superbad to do so. Thus we are introduced to a gang of evil doers that the world has previously locked away and witness as they are put at an impossible position (hence the “suicide” part of the title). That is, they are forced to do their shtick in the name of good or pay the consequences. But since those alleged baddies are unknown to movie goers at large, the first act of Suicide Squad is spent on us acquainting ourselves with this badass gang. Leading the way is Deadshot (Will Smith), but stealing the movie outright with her performance is Harley Quinn / Margot Robbie; it’s one of those performances that are so good it is hard to distinguish the fictional character from the talented actress. Let’s just hope Hollywood does not fail Robbie the way it does most female talent. At this stage I will mention Suicide Squad sees the return of The Joker’s character to the DC universe. Jared Leto portrays him, and I guess Leto does a fine job at it. Yet as fine as it is, I could not help but think how vastly superior Heath Ledger’s Joker was. Anyways, The Joker plays a relatively minor role here. The bulk of Suicide Squad involves our squad’s attempts to neutralise a super villain threat released into the wild by the alleged goodies; this allows each of the squad members to come out and give us a show, and thus we have ourselves a fairly entertaining movie. It is overlong, many of the plot twists make no sense, but as superhero movies go this ain’t all bad. Far from it, Suicide Squad waxes much more poetic than the bulk of them. Or, more bluntly, it is much more of a thinking person’s superhero movie than the manure we're accustomed to. And then there’s Margot Robbie. Overall: Hopefully, now that the Suicide Squad members have been introduced to the world, the inevitable sequels will treat them as well as they deserve. For now, Suicide Squad earns 3 out of 5 crabs while sporting some attributes of generally superior quality.